The District has a really neat online tool for finding out basic information on properties called the Property Information Verification System. One of its features with which I have recently become obsessed – and that I fear will likely be updated soon – is the ability to view a photograph taken in 2004 of any given property. 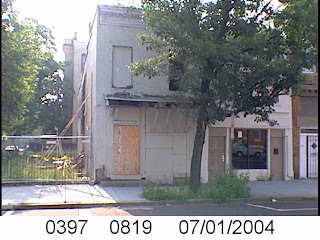 I’ve downloaded a handful of pictures of Shaw area properties from 2004 and, in the coming days/weeks, will upload them, along with photos of the current conditions of the properties. Some provide pretty stark contrasts in just seven years' time. Across the board, one interesting thing to note is that the public spaces photographed are exponentially better cared for today. In 2004, many treeboxes are ovegrown with weeds (jungles, really). 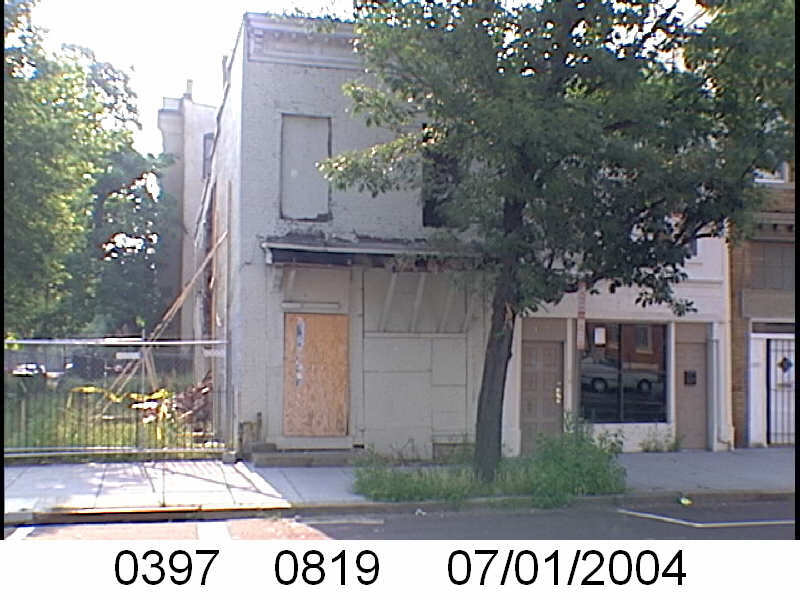 Also, it's clear that there has been a lot of investment in the area in the past seven years -- I see a lot of vacant buildings in the 2004 photographs that are now rehabilitated and occupied. 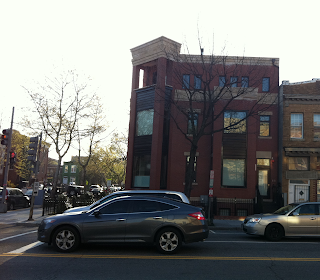 Here’s a before and after photo of 1555 Ninth Street. Notice in particular the unkempt treebox in 2004. The two buildings pictured were both demolished not too long after this photograph was taken because of a development-gone-wrong that lead to their collapse. I believe the one on the right was occupied at the time of the construction incident (thankfully no one was hurt) and the one on the left had been vacant for a while. I should have waited for the cars to pass in taking the shot, but take my word for it the treebox looks great now… dozens of tulips are about to bloom, it’s been recently mulched, and it has an iron treebox guard. It constantly amazes me how the city has changed just in the 5 years we've been in Shaw. And 5 years from now when O St. Market, Progression Place and the Marriott Marquis are all done, Shaw will likely feel very changed. ML -- I'm also amazed at how much has changed in recent years. Lake Woodson, Wings Motors, Shiloh's 8th and Q properties, The Nine, 1314 9th, Long View, Wagtime, and on and on and on -- individually all were worthy of celebration and pride, and collectively they're really made a huge impact on the livability, beauty and vitality of the area. These photographs from 2004 really drive the point home.